Lake Elsinore officials are hoping to avoid another weekend of full bloom chaos, and announced Thursday some new strategies to relieve the congestion brought on by beauty-seeking hordes. Their plans include a pay shuttle service, closing some nearby roads and asking residents to stay home (or take alternate routes). 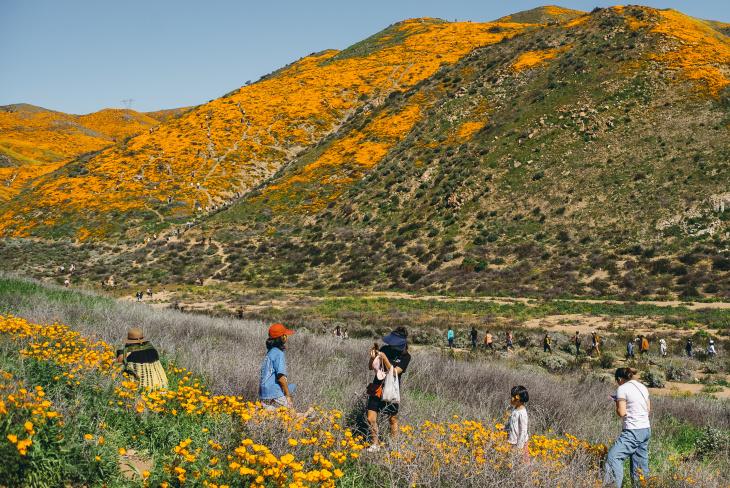 "[The] super bloom has shown the world the natural beauty of Lake Elsinore," said Lake Elsinore Mayor Steve Manos during a press conference, but "the last few weeks have been unbearable for our residents." Starting Saturday and throughout the weekend, there will be no parking for visitors on Walker Canyon or Lake Street. Instead, those wishing to see the poppies will be required to take a shuttle, which will cost $10 (if you're over the age of three). Shuttles will hold up to 150 people, Manos said, and will begin running at 6:30 a.m. The last shuttle will leave to take visitors to the super bloom at 5:00 p.m., and the final shuttle will leave the flowers at 7:00 p.m. Animals won't be allowed on the shuttles, with the exception of service animals, and officials expect the wait time for shuttles to be approximately 2.5 hours. During Thursday's press conference, which was livestreamed on Facebook, officials encouraged residents to take alternate routes or to avoid heavily trafficked areas. That suggestion was met with some derision from residents. "Thanks for making us hostages in our own homes!" wrote one commenter. "This doesn't sound like a solution they are just telling us again to avoid the area?" wrote another. "Soooooo still no solution" said a third. 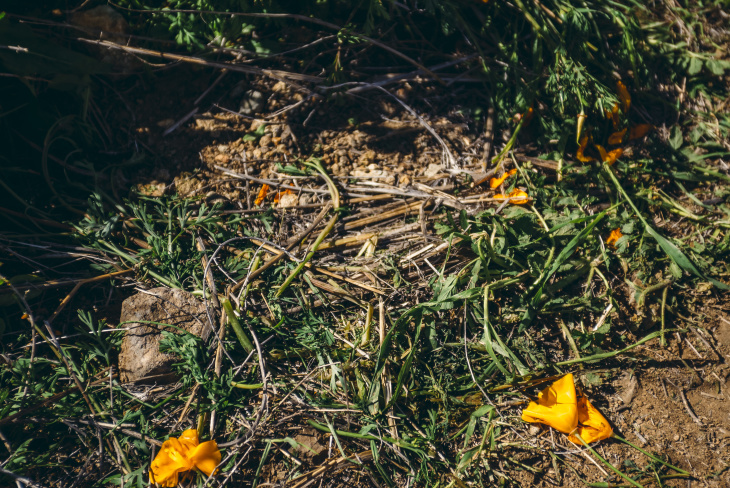 Visitors to the super bloom also haven't been so great about observing proper etiquette, or even taking health precautions. During today's announcement, officials said that tourists have suffered snake bites, broken bones and rolled ankles in search of the perfect selfie. "Two miles downhill in sandals is not fun," said Dustin McLain, Lake Elsinore's chief of parks and resources. "We have experienced that over and over."